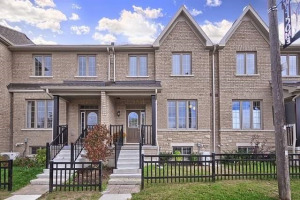 This Stunning Town Home Has Everything You Need To Get Started! Perfect For First Time Home Buyers Or As An Investment. Modern, Fresh, Wide & Spacious. Full Of Upgrades, 9' Ceilings On Main, Custom Crown Wood Trim On Windows, Modern Hardwood Floors, O/C Gourmet Kitchen W/ Breakfast Bar/Island! Hot Tub & All Accessories Included(Cover As Is)! Garage Entrance To Home, Full Basement Awaits Your Finishing Touches! 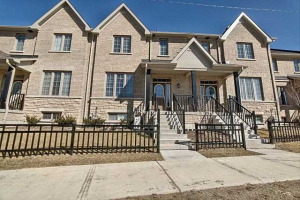 Close To Schools & All Amenities Mins To Hwy 404! Included: Elf's, All Window Coverings, Washer, Dryer, Stainless Steel Dishwasher, Stainless Steel Stove, Stainless Steel Fridge, Hwt (R) , Basement Bathroom Rough In.